Pop meets Rock, Rock meets Punk, Punk meets well...you get the idea. This album meets most of your wants for an up beat summer fun album brought to you by two of the masterminds behind the Supertones. 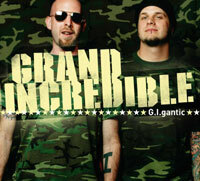 Mojo and Ethan wanted to provide those fans with a different aspect of the Supertones- so we present you Grand Incredible. 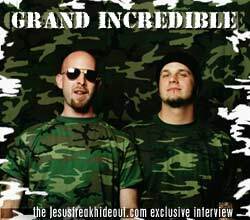 This interview took place on: 2/15/03.